(from NBC by Associated Press, Nov 14 2016) – Southern wildfires — many of them suspected cases of arson — are spewing smoke so thick that residents are being urged to wear special masks if they must go outdoors. Many of the nation’s largest active wildfires have been burning in the southern Appalachian mountains, where a relentless drought has turned pine trees into torches and forced evacuations in dozens of communities. More than 5,000 firefighters and support staff from around the nation have poured into the Southeast to try to suppress these fires, the U.S. Forest Service says. The effort includes about 40 aircraft, including three large air tankers flying out of Chattanooga, Tennessee. Tens of thousands of acres of forest have burned, and about a dozen of the largest fires remain uncontained, the forest service said. “It just smells like a campfire” along the Appalachian Trail in north Georgia, said Carlie Gentry, who works at the Mountain Crossings store at Walasi-yi, a popular stop for hikers. Last week’s national drought report showed 41.6 million people in parts of 15 Southern states living in drought conditions. The worst conditions are in Georgia, Alabama, Mississippi and Tennessee, but extreme drought also is spreading into the western Carolinas. Kentucky, Tennessee and North Carolina all have fierce fires. 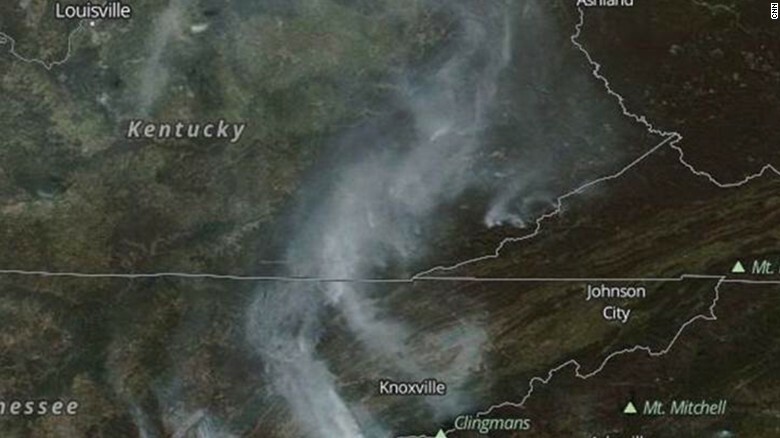 A NASA satellite image shows smoke from wildfires in Kentucky, North Carolina, Tennessee and Virginia. One of the largest blazes was spreading rapidly in the Cohutta Wilderness area just south of the Georgia-Tennessee line. Nearly 300 people are battling that fire, which has already consumed 10,000 acres, the Forest Service said. 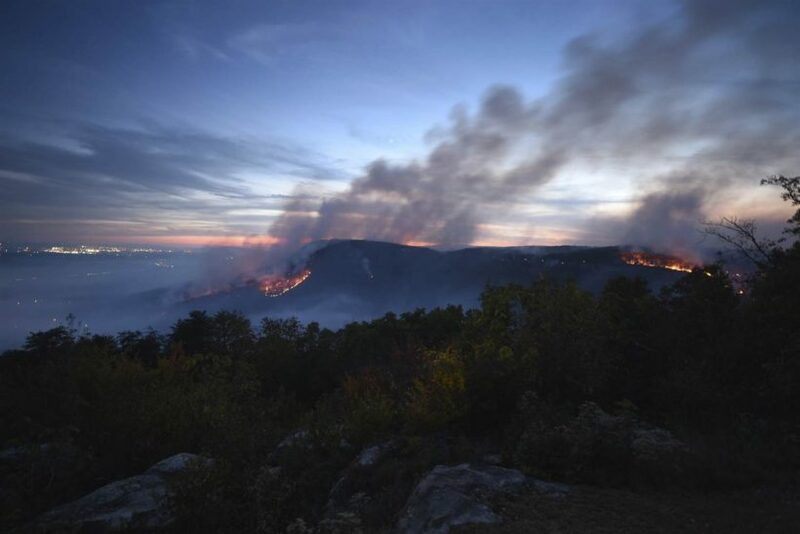 In the hills outside Chattanooga, firefighters were trying to save homes on both Signal Mountain and Mowbray Mountain. They may get reinforcements: The Federal Emergency Management Agency (FEMA) said it would reimburse most of one fire’s costs after a request from Tennessee. Reprinted here from an Associated Press report for educational purposes only. 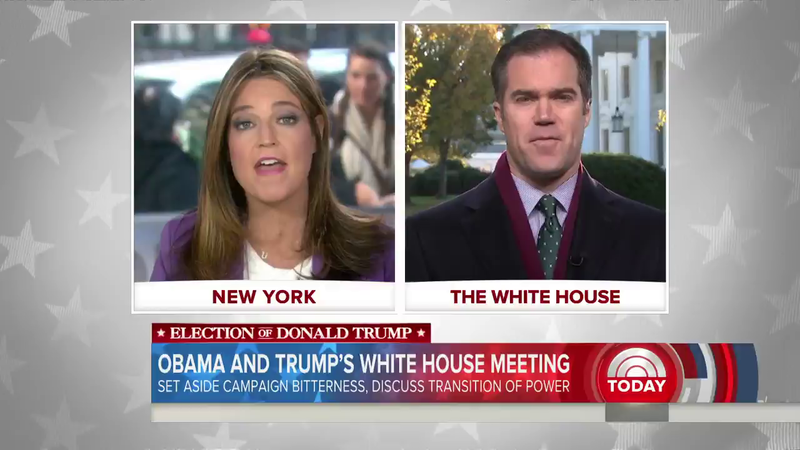 May not be reproduced on other websites without permission from NBC News. Visit the website at ncbnews .com. b) How many of the largest fires remain uncontained? 2. Where are the wildfires burning? Be specific. 3. What factors combined led to the wildfire situation in the South? 4. What type of manpower and equipment is being used to fight the wildfires? 5. 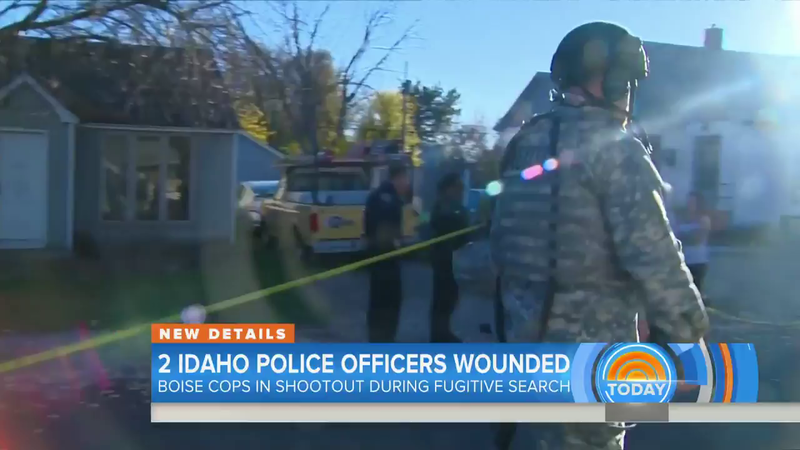 For what reasons were several people arrested in connection with the fires?